I had no idea this smoothie would turn out as good as it did, but it did not disappoint! I basically packed it full of all the leftover green leaves in my fridge (I had lots of chard and beet leaves leftover from making my raw marinara sauce) and the taste came out amazing! Let us begin! Blend until creamy, then drink! I thought the green taste would be too overpowering and earthy, but with the addition of the pear, pineapple and coconut water, it balanced it out perfectly! 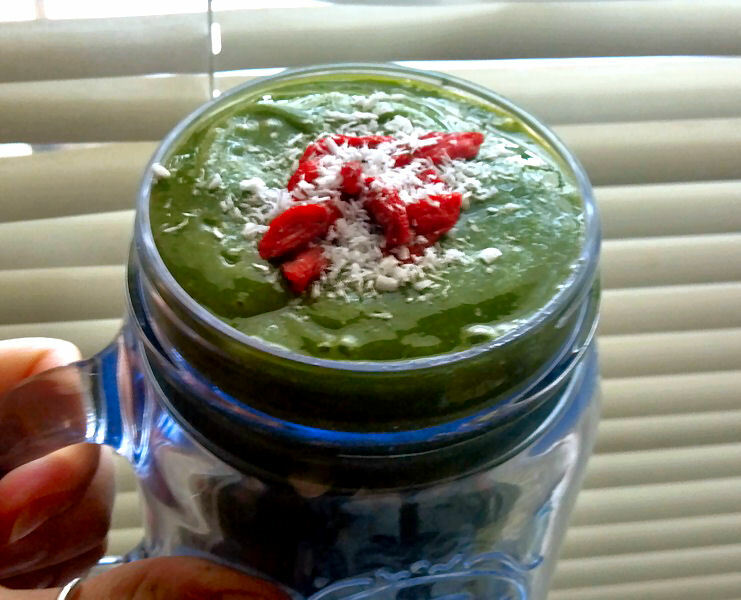 Top with coconut and gogi berries and drink up!